Recurring, high school blood drives can be the foundation for a thriving blood donor program. High school blood drives are often responsible for as much as 25% of large, blood service/blood center collections. DonorLogix’s Annual Scholarship Program was created to help our Clients secure and retain high school blood drives in their back yard, i.e. in the geographic region their hospital/health system serves. We believe blood collected locally… should stay local first. Our Program is the most generous in the country. Beyond the financial implications to schools and students, the Program gives our Clients the opportunity to say THANK YOU to the administrators, parents, teachers and students who support their blood donor program. Strategically secure new high school hosting relationships. Systematically (and capacity-driven) schedule more high school blood drives immediately. Create, produce and deliver all blood drive marketing materials. Promote Red Cord Program (for Seniors to wear during Graduation). Provide Complimentary Blood Drive CRM (mobile30). 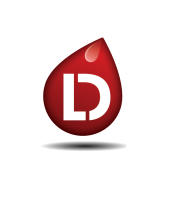 Call us today to learn more about the Program and how DonorLogix can help you take-back the high schools in your area that should be coordinating blood drives with you!